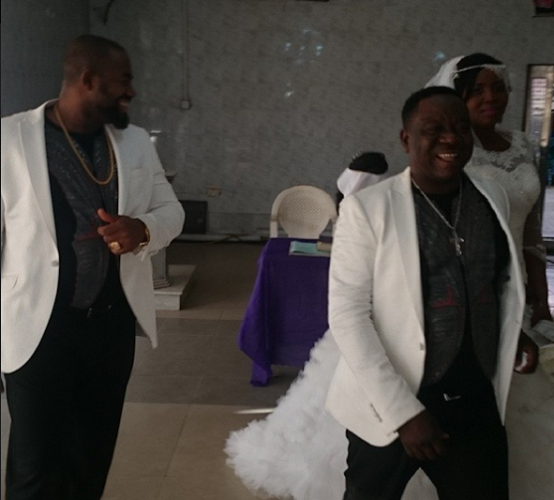 The day John Okafor (Mr Ibu) officially married his wife of many years, Stella Maris Okafor, is trending on Nollywood Community–along with pictures of the couple at their wedding ceremony held at a Catholic church. Congratulations to the couple! On the 25th of May 2015, popular Nollywood comic actor, John Okafor officially signed the along dotted lines of matrimony with his wife and mother of his two kids, Stella Maris Okafor. 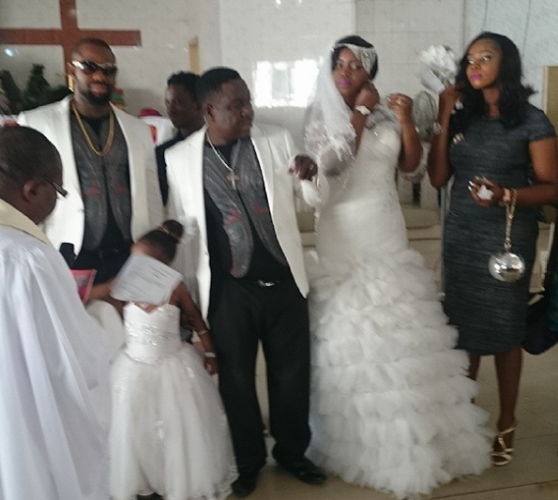 Check out pictures from John Okafor’s wedding and share your thoughts afterwards in the comment section. The couple have been together since 2008 but never married. They had three kids, but one (a boy) died a few years ago. The actor quietly married his lady in front of a few family and friends on May 25th. According to reports, there wedding reception will hold after Mr Ibu mother’s burial. See more wedding pictures below. What message do you have for John Okafor? Congrats To One Our Best Comedians Mr Ibu. Wishing Him Success In His Marriage And Career. 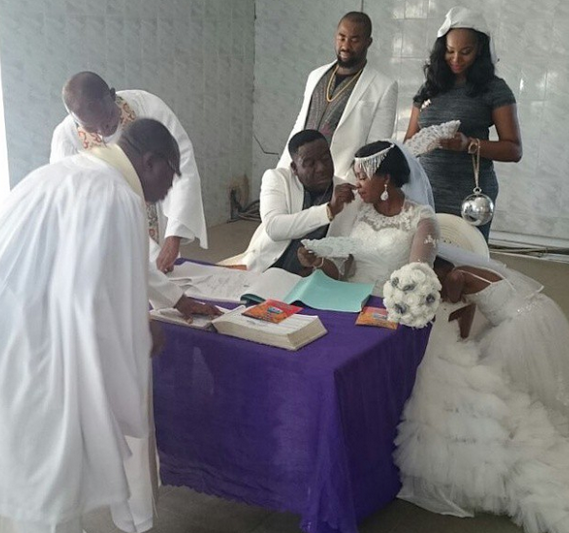 Marriage is a huge commitment, and Mr Ibu has now officially committed to his wife of many years …. for better or for worse. Congrats to the couple!